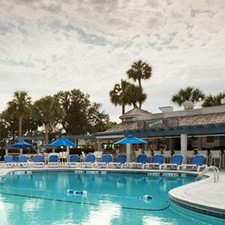 This Father’s Day, escape to the Sonesta Resort in beautiful South Carolina, for 5 days and 4 nights for the cheap hotel price of only $299! Plus, get a free $50 Dining Dough gift so you can eat great on us! Father’s Day is a great time to take a Hilton Head vacation, with warm weather, sunny white sand beaches, and plenty of fun outdoor activities and water sports! The Sonesta Resort offers the finest accommodations and amenities for families with children or pets! Onsite children’s activities all you to escape to the onsite spa for a day of rest and relaxation. There are 2 restaurants, a bar, a gift and apparel shop, 24-hour fitness center, bicycle rental, 2 pools, and more for your enjoyment! Your deluxe hotel room has high-speed Internet access, smart TV, private balcony or patio, room service, robes, and much more. Hilton Head has a variety of fine entertainment a nature experiences, with a great beach and plenty of children’s activities. Biking is one of the most popular outdoor activities, with a whole network of paved bike paths and 12 miles of beach accessible by bike. There are also a variety of cruises, tours, historical and ecological programs for all ages, and a thriving local arts scene! Take advantage of this Father’s Day deal to enjoy a great vacation to Hilton Head!